Are you looking for the best vacuum sealer? Vacuum sealers are commonly used machines in commercial kitchens that are used to store food. In recent times, these machines have found a way into people’s homes. Day by day these are becoming an essential item in every kitchen. Unfortunately, most of the people still don’t know what it is and what to look for when buying a sealer. 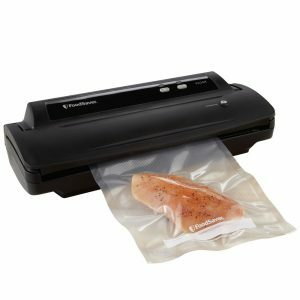 The best vacuum sealer for food is helpful in removing the air from the food package. This is to preserve the freshness of the food. With the help of vacuum sealers, you can store food in bulk, seal it and freeze it for later use. In this way, you can reduce the wastage of food. Moreover, these sealers reduce the oxygen that restricts the growth of the bacteria. The bacterial growth causes the meats, liquids, and vegetables to spoil. When you seal the food in a package, it is protected from dehydration and freezer burn. You can even save storage space as the package size will be reduced. Are you wondering how you buy the best food sealer? There are plenty of best food vacuum sealers available on the market. Choosing one from them is a difficult task. We are here to help you buy the right vacuum sealers that meet your needs. 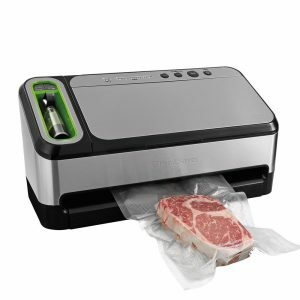 Take a look at best 9 vacuum sealers. It is imperative to have a sealer that will not only last longer but seals the food properly. 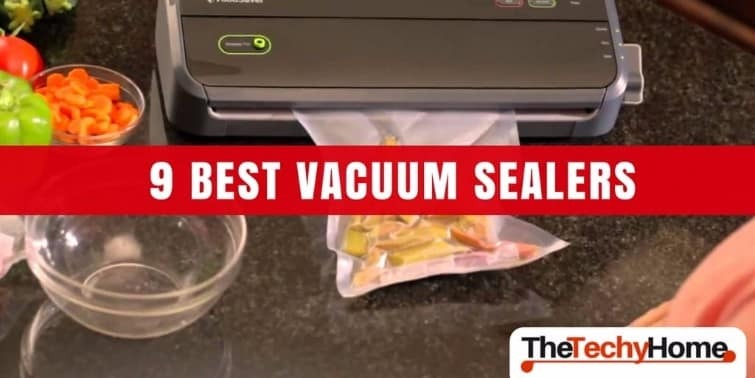 We have highlighted some of the best vacuum sealers. Let’s take a look at the list of best 9 vacuum sealers. 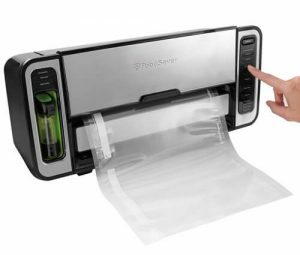 One of the best vacuum sealers is offered by the FoodSaver. This FSFSSL5860-DTC sealer has an automatic operation. It can auto detect the special FoodSaver packing bags and starts to vacuum seal the bag. The sealer dispenses and rewinds the bag material. Then it seals and cuts from the roll by pressing a button. The retractable sealer can be used to sealing bags and jars without needing heat. Moreover, this sealer features an integrated removable drip tray. It has a dishwasher-safe pullout tray that holds the overflowed liquid. This helps in keeping the machine clean. This vacuum sealer can be used as a counter-top and handheld machine. It has a built-in cutter that can create custom sized bags. This sealer has quick marination mode that marinates in minutes. It is easy and simple to use as there are indicator lights. These lights simplify troubleshooting and maintenance. This is sealer is the best choice for people who want a machine that does everything itself. Another best food sealer according to the food vacuum sealer reviews is the SVV-00300. It has manual control features that enable you to choose the speed and settings that you want. There are 2-speed limits, normal and gentle. 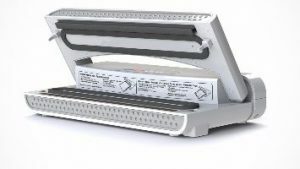 This sealer offers 2 systems for storing moist and dry products. The SVV-00300 can do sous vide and vacuum sealing. It features a wide platform that allows you to seal bags with huge amounts of foods. What makes this sealer special is that it is lightweight and portable. It can be carried around without any difficulty. You create delicious and nutritious meals by pushing a button. When you cook food using the sous vide method, the food develops tasty flavors. The same flavor cannot be achieved using the traditional method of cooking. It has a compact design so it takes up a small space in the kitchen. Cleaning these sous vide supreme is very easy and less time-consuming. Therefore, the efficient speed and great design will save your money and time. This is the right choice as it will keep your food fresh for longer time. Along with this, you sous vide your food whenever you want to. Don’t miss the discount Amazon have put on this one, Click Here. Next in the list of best vacuum sealers is the Minipack MVS 45X. It is a heavy-duty and industrial chamber vacuum sealer. This is great for packing food and other products in large quantities. It features an automated functioning making it easier to operate. This sealer has a digital panel with 10 different options. As the sealing process is automated, it eradicates the need to be supervised. It has extra-long seal bar that protects large quantities of product without any trouble. Another of the best vacuum sealers is the FoodSaver V2244. It is compact in size and user-friendly. It was mentioned in the Foodsaver vacuum sealer reviews that this is among the most popular sealers. The FoodSaver bags are provided with the sealer. It helps in keeping the food and other products safe. The sealer is efficient in removing the air and moist from the bag. Moreover, you can seal your food bag without any difficulty. All you have to do is add the product in the bag and put it into the vacuum sealing. Then close and lock the lid after that push the vacuum button. This V2244 sealer offers 2 options for storing food, vacuum seal or seal. This sealer features a double-wide sealing bar that needs heat to provide a secure seal. It is ideal for storing a wide range of products. The V2244 sealer is considered as the best sealer for storing fish. It is to clean the sealer as it has a removable drip tray. Thus, it is an easy method to protect food from freezer burn. Along with this, it is best for reducing wastage. The Warring Vacuum Sealer Pro PVS 1000 is not like any other sealer. 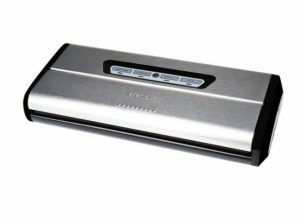 The pistol vacuum is ideal if you are looking for a stylish and portable food sealer. This is one of the best vacuum sealers due to its versatility and high quality. It comes with separate sealing bags so you don’t have to spend extra money on buying the bags. 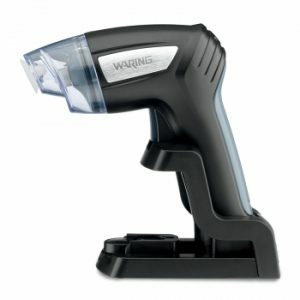 It is a wireless sealer that features a battery making it easy to carry around. This sealer offers top of the line performance when sealing bags. This vacuum sealer is very easy to manage and has a compact design. The PVS 1000 sealer is light in weight making it perfect for professionals in different industries. Furthermore, cleaning this device is super easy. You will have to remove the nozzle and suction cup before cleaning. You can use a cloth that is soft for cleaning the base of this sealer. Hence, you will never experience any problem with this innovative and user-friendly sealer. The performance of the sealer depends on how well you maintain it. 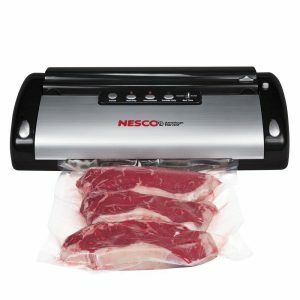 Another great vacuum sealer is the Nesco VS-02. You can seal products in bulk and preserve them for longer periods. This sealer is one of the best in our vacuum sealers list as it creates an airtight seal properly necessary for preserving flavors and freshness. This Nesco VS-02 sealer provides a watertight seal making it perfect for sous vide cooking. It is an automated sealer that can operate with just one touch. This keeps sealing simple for you as you can choose between 2 options, vacuum seal and seal only. The seal only option is best for delicate and soft products. This sealer comes with seal bags so you won’t have to find the bags separately. You won’t have to use scissors to cut the bags, it has a bag cutter. This allows you to cut customized bags. 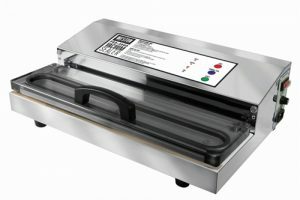 This is a countertop sealer that can be used for preopening meals and store leftovers. If you don’t like to waste food, Nesco VS-02 is the best choice. Weston Vacuum Sealer keeps the foods fresh and protects food from freezer burn. The exceptional performance and heavy-duty construction enable it to preserve food for longer periods of time. It features a double piston pump seal bar that ends the sealing quickly. The machine has an extra-long seal bar that ensures the bag is sealed properly. You can seal 15 inches of bags without any trouble. Moreover, the Pro-2300 sealer is the easy and simple to use. It has manual seal mode that allows you to select the pressure for storing delicate or soft products. This helps you keep rare silver coins and other items safe from air and moisture. With this sealer, you can store items in airtight packing for safe keeping. This sealer is produced from strong material making it durable. One of the best features of the sealer is the drip tray. It keeps the machine clean and neat from spills. The sealer features LED lights through which you can know the stages of the sealing process. Whether you are sealing a liquid or fruits, you can get the best seal with Weston Pro-2300. According to the food vacuum sealer reviews, this sealer is perfect for business use and home use. Another vacuum sealer that you must consider is the Crenova VS100S. This sealer is smaller in size and occupies less space on the counter. The compact design sealer provides tight seals. The VS100S sealer is noiseless, it can quickly and efficiently seal the bags. It can keep your food fresh and protect food from being spoiled. This food sealer features 80kPA pressure that eliminates oxygen and moisture from your food. Furthermore, this sealer is flexible as you can’t use it for food and other household products as well. The Crenova VS100S comes with a starter kit in which you get sealed bags. Wondering why this vacuum sealer is the best. It is easy to clean and has a solid construction. This sealer is great for home use and business use. This is the best vacuum sealer for those who want a versatile vacuum sealer. The durable and high-quality design of the sealer keeps food fresh for longer time. The VS100S will not only save your money but it will save your energy and time as well. 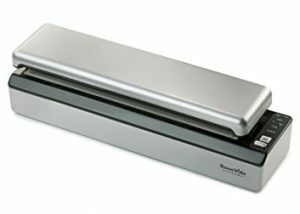 The FoodSaver 4840 2-In-1 food sealer is another best vacuum sealer. It is handy and useful for storing foods for longer periods of time. This features a retractable handheld sealer that you can use for vacuum, zipper bags. It can be used to seal canisters and jars as well. Using this sealer is very easy as it has an automatic operation. It can automatically detect bags so you can keep your hands on the bag. The automation detection allows the sealer to detect whether the product is dry or moist. Afterward, it adjusts the seal level accordingly. This sealer has indicator lights that allow you to monitor the process. This feature makes it user-friendly. There are 2 buttons for marinating and vacuuming. The cleaning of this device is easy as it features a drip tray that can be removed. The drip tray is dishwasher patent and can be hand washed as well. 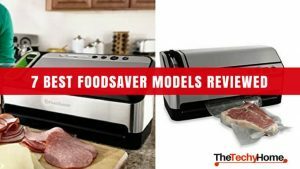 According to the foodsaver vacuum sealer reviews, this is the best sealer by FoodSaver. Vacuum food sealers are the best way to keep vegetables, meat, and fruits fresh for longer periods of time. Whether you choose an external vacuum sealer or chamber vacuum sealer, they will keep food fresh longer. Having the best food vacuum sealer will be beneficial in the long-run as it will save money. Here are some things you must consider before buying the best vacuum sealer. The first thing you must consider when buying the best vacuum sealer is the type. There are various types of vacuum sealers available on the market. You need to consider the main purpose you need the sealer for. Some of the sealers are designed for certain sealing jobs. Some of the food sealers are best for meat whereas some are good for vegetables and fruits. There are few of the sealers that can do a wide range of tasks. So you must carefully choose the sealer keeping in mind your main purpose. Another factor that you must consider when buying the best vacuum sealer is the design. You can choose from handheld, chamber or external sealer. How will you decide which sealer to buy? It’s simple, you just have to consider how you plan to use the sealer. 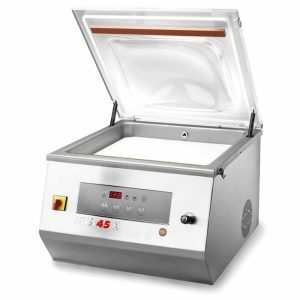 In case you need to do plenty of packing in bulk, chamber vacuum sealer is the right option. If you need vacuum sealer for home use, the external vacuum sealer is the correct fit. A handheld vacuum sealer is the best choice if you want to have a small and portable sealer. You must pay attention to the material as well. The best vacuum sealer for food is made out of stainless steel. This is because it makes the machine extremely durable. Next thing that you must pay attention to is the portability. If you want the best food vacuum sealer with low carbon footprint, the handheld is the best choice. However, you must bear in mind that portable and lightweight sealers provide low performance. They will not last very long. On the other hand, if you buy a vacuum sealer of the size of a dishwasher. You will get annoyed because of the space it occupies. So you will want to get a sealer that is not too lightweight and not too big. When you are looking for the best vacuum sealer, you must check if the sealer uses special bags or not. If they don’t use the bags, you will have to separately buy the brand special sealer bags. This increases the cost in case you use the sealer regularly. If you buy a low-cost machine, you might have to spend plenty of money on repairs. Furthermore, most of the vacuum sealers have a 1-year warranty. But you can find a sealer that has 3-years or longer warranty. This is a sign that the producer of the seal has confidence in their product. The best vacuum sealers will have the strength and quality heating bar. They work together to offer you the properly sealed food. Some of the best sealers have heating bars that are covered with heavy duty silicone frames. While some of the inexpensive sealers don’t have the strength of sealing the food correctly. 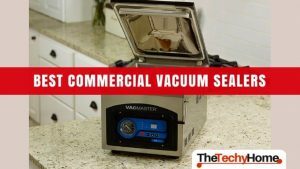 An in depth Guide with reviews to choose one of the Best Vacuum Sealers.